The Amazon US is offering a new Xbox One S Battlefield 1 Bundle (500GB) with Fallout 4 game and $30 Amazon Gift card for just $249 USD. Check out below what you will get in Battlefield 1 bundle. 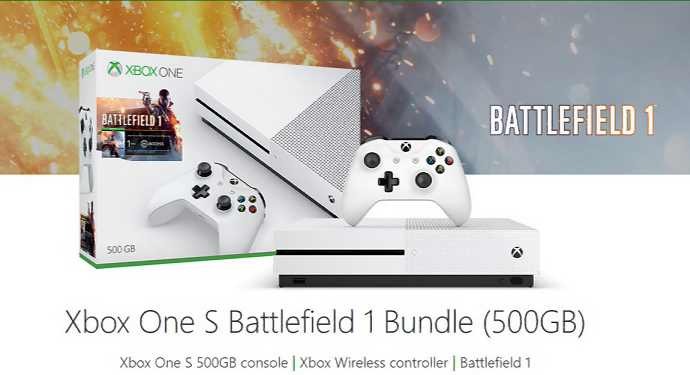 Xbox One S 500GB Console, full game download of Battlefield 1, one month of EA Access, Xbox Wireless Controller, HDMI cable (4K Capable), Power cable. 3 month Xbox Live Membership Digital Code.